If you're looking to make changes to your Display Ads, you can do so from the FB & Display Marketing --> Manage tab. From here, you will have the option to change your target locations and business industry. You can also rotate through your different ads, and edit them separately. Make sure to click Publish Changes when you are finished. 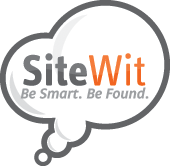 If you have any questions regarding the Display campaigns, contact our support team at support@sitewit.com, or live chat via the orange "Chat" button in the bottom right corner of your SiteWit dashboard. OK,I hope I will be succeed.